Regenstrief investigator JT Finnell, M.D., has been elected to the Board of Directors for the American College of Emergency Physicians (ACEP). Dr. Finnell was elected during the organization’s annual meeting, which is the largest gathering of emergency physicians in the country. The board is the policymaking body, responsible for ACEP’s management and control. Dr. Finnell’s research interests focus on the optimization of emergency care through the application of biomedical informatics principles. One of his electronic health record (EHR) projects was highlighted nationally as an example of how informatics can alter care and improve outcomes. 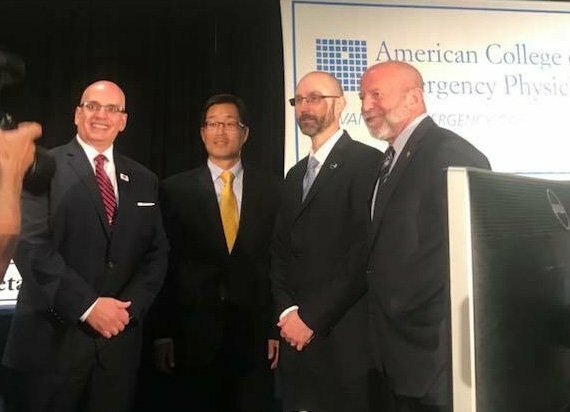 The American College of Emergency Physicians represents more than 38,000 emergency physicians, emergency medicine residents and medical students. It advocates for emergency doctors, their patients and the public.